Make bed time something to look forward to with a theamed bedroom featuring your little one's favourite character. 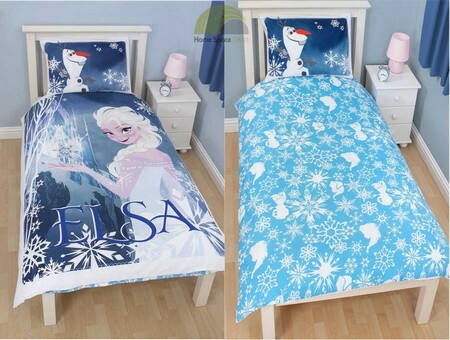 We stock duvet covers, curtains, light shades,rugs, blankets and towels featuring much loved characters like Mickey Mouse, Minnie Mouse,Disney's Frozen, Star Wars, Cars and Disney Princess, which are sure to be a hit. Many of the bedding ranges are available in double, single and toddler/cot bed sizes, so all you have to do is to decide which character is your angel's favourite! We also stock bed linen like fitted sheets, mattress protectors and duvets / quilts, so you can get all your kid's bedding needs in one stop.